The government's challenge is to ensure that the reforms implemented in order to gain access to the OECD are in line with a vision of development that finds a consensus. 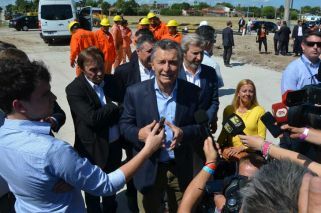 The Mauricio Macri administration is making a great effort, pushing for Argentina to join the Organisation for Economic Cooperation and Development (OECD). Through this move, it intends to prepare our institutional system to tackle a major foreign affairs challenge, one defined by the Brazilian Celso Lafer as “translating internal necessities into external possibilities.” The project will demand considerable efforts from government officials, businessmen and civil society – it is therefore critical that this process be linked to a vision of development that possesses elements of consensus. The OECD, headquartered in Paris, is composed by 35 states that support democratic values and free commerce. The member states meet to exchange information and share experiences, and seek to coordinate policies with the objective of maximising economic growth. Considered today to be a “rich nations’s club,” it is the successor of the Marshall Plan, which supported recovery in Europe after World War II. At the moment of its formal foundation in 1960, it was the United States, Canada and Turkey that joined the European nations. With time, the OECD would admit Japan and South Korea, Australia and New Zealand, countries from Eastern Europe and Baltic states, and Israel. Latin America would later be represented by Chile and Mexico, the land of the OECD’s current Secretary General Ángel Gurría. The OECD has built a prestigious position as provider of “good practice” processes, as well as statistics and analyses comparing the performances of its member countries. 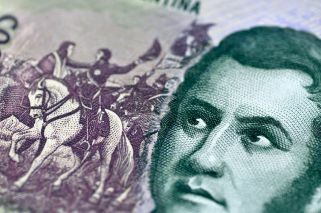 These contributions are particularly relevant given the changes that the government is seeking to implement in Argentina. Among these analyses we can mention comparisons that focus on levels of poverty and vulnerability, on education levels – including the PISA index – on degrees of foreign and domestic investment, and on those that focus on the participation of women, such as the Gender Gap index. The Macri administration is facing up to the OECD’s admission process with a considerable amount of vigour. After officially requesting entry, numerous OECD missions have visited the country. The aim is for the government to receive the “green light” that kicks off the process fully, which involves matching the conditions established by 23 key committees. Undersecretary Marcelo Scaglione’s team – who are responsible for the admission process – has worked hard to gain access to new committees. The targets were to eight by December 2015, to reach 13 at the end of 2016, and to match 18 by mid-2017. The objective is to fulfill the terms of the 23 committees by the end of this year. Argentina is taking advantage of its time holding the G20 presidency to work together and strengthen ties with the OECD’s staff. Important meetings have been held at the Economy Ministry and at the Pink House, which have been attended by ministers, key OECD leaders – including Chief-of-Staff Gabriela Ramos and Global Relations Director Andreas Schaal – as well as businessmen and legislators. Working together, Argentina has been able to present its “circumstances” to the OECD’s representatives. Access to the OECD does not only give access to “good practices”, it can also work as an antidote against the temptation of isolationism. Particularly when a certain degree of humility can be noticed as the OECD’s staff proposes “ingredients” to its members, not the imposition of recipes. As to the matter of isolationism, to paraphrase Albert Camus in The Plague: “The bacillus of isolationism does not ever die or disappear.” In simpler terms, the practice of comparing ourselves to other member countries of the OECD will ensure we remain connected to the world, evaluating in an effective, though initially painful fashion, the progress that has been made in terms of development. Although the OECD can provide ingredients and recipes, it is the government that must assume the role of chef, of course. This means adopting and adapting the proposed “best practices” to the underlying circumstances. In this challenge it is important to keep in mind that all the ingredients that must be included in our indigenous recipe must function in order to, in Mario Quintana’s words, “find our own road.” There must be an accurate sense of sequencing and timing in the selection and mixing of these ingredients. Judging by what was presented by the team of chefs at the Pink House during OECD week in Buenos Aires, the government appears to have more clarity with regards to the aspects linked to social development than it does for those related to economic development. A social development plan was presented that does not believe in, or await the consequences of the “spillover theory.” It consists of three pillars: an income policy component that mitigates – but does not solve – the current economic challenges of the least favoured social sectors; a plan to make quality public goods available to these sectors, augmenting their sense of dignity; and initiatives to reignite social mobility and the feeling of hope through quality education and better employment opportunities. In contrast, and given that foreign debt has its limits and consequences, what has been presented as a productive plan does not appear to be, using the terms used by the OECD staff, more than a list of ingredients. They do no amount to a recipe, and therefore, to good practice. They clearly do not materialise a vision of development. Argentina’s challenge will be to ensure that the reforms implemented in order to gain access to the OECD are in line with a vision of development that finds a consensus. The timing of the admissions process must not limit our degrees of flexibility in finding “our own road”. This vision needs to be agreed, and explained, before the OECD admission process is sped up. Especially if we are to avoid future setbacks, with negative consequences, in the international arena.